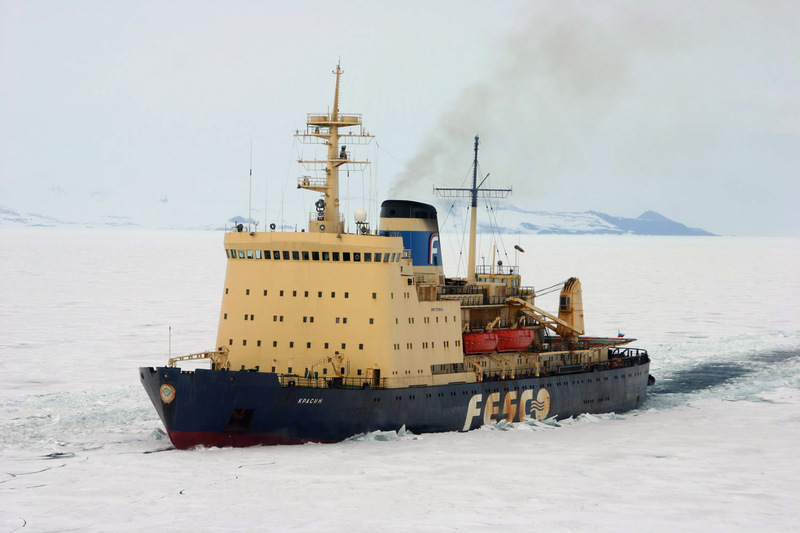 The Finnish built Russian operated icebreaker Krasin. Such icebreakers are sometimes hired by the national Antarctic programmes of differnt countries, here this has been hired by the US authorities during the 2004-2005 season to "break-in" to McMurdo station in the Ross Sea area of Antarctica. The giant ice-berg named B15A caused a winter sea ice build up that didn't break out as it normally would in the spring so making relief of the station at McMurdo more difficult than normal.